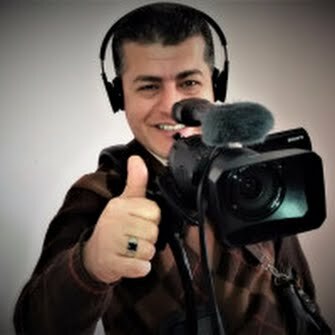 I am known to my clients as one of the most creative solid plugged in filmmakers in the Middle East. I've been working in and around media for more than a decade, bringing years of experience in the United Nations to the table. I can work on most types of assignments. Being well equipped punctual filmmaker with constantly developing skills, I provide compelling stories in fully produced packages that need almost no revisions. My works have been published in NBC, ENSIA, AJ+ ENGLISH, GLOBAL CITIZEN, ZINC, AJ+ ARABIC, UNRWA and many other outlets. I dream of becoming one of the top world's filmmakers by 2022. TURNING BULLETS INTO ART “Every bullet has a story and a meaning.” This Palestinian artist is recycling Israeli bullets into art pieces about Gaza's March of Return. Medic at the Wheel of Gaza's Resistance This Palestinian medic was in an ambulance when Israeli snipers shot it. But he didn't stop helping Gazans in a critical condition. THE POWER OF PALESTINIAN WOMEN We want to live, we want to return to our lands." This Palestinian woman is marching in Gaza despite being shot by an Israeli soldier. Meet the Palestinians resisting occupation inside the world's largest open-air prison: Gaza. In blockaded Gaza, necessity is not only the mother of invention, but also the mother of resurrecting old fashioned ways to survive. Palestinians are no longer able to bake bread at home by electrical baking ovens because of the escalating electricity dilemma in the Strip. Daily power supply has reached 4 hours per 24 hours. Accordingly, Palestinians turn to bake bread by primitive clay ovens.